I recently spoke with a UK start-up that is doing away with GPS coordinates even though their company focuses on geographic information and maps. 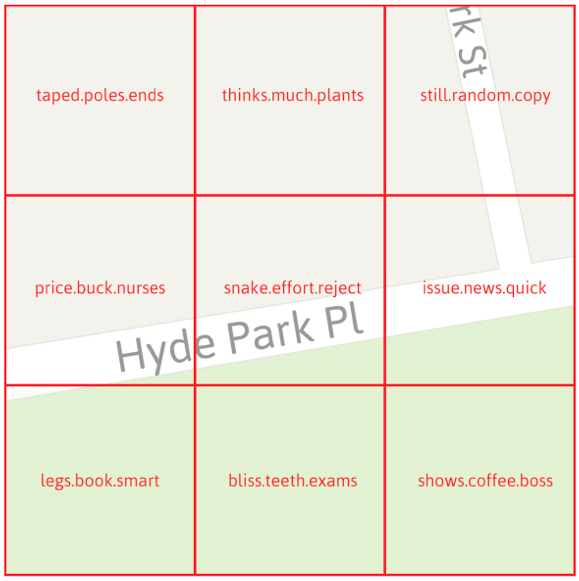 The start-up, What3Words, has divided the globe into 57 trillion squares and given each of these 3-by-3 meter areas a unique three-word code. Goodbye long postal addresses and cryptic GPS coordinates. Hello planet.inches.most. The start-up also offers a service called OneWord, which allows you to customize a one-word name for any square. In addition, the company has expanded to other languages such as Spanish, Swedish and Russian. They’re now working on including Arabic, Chinese, Japanese and others by mid-January 2014. Meanwhile, their API lets anyone build new applications that tap their global map of 57 trillion squares. When I spoke with CEO Chris Sheldrick, he noted that their very first users were emergency response organizations. One group in Australia, for example, is using What3Words as part of their SMS emergency service. “This will let people identify their homes with just three words, ensuring that emergency vehicles can find them as quickly as possible.” Such an approach provides greater accuracy, which is vital in rural areas. “Our ambulances have a terrible time with street addresses, particularly in The Bush.” Moreover, many places in the world have no addresses at all. 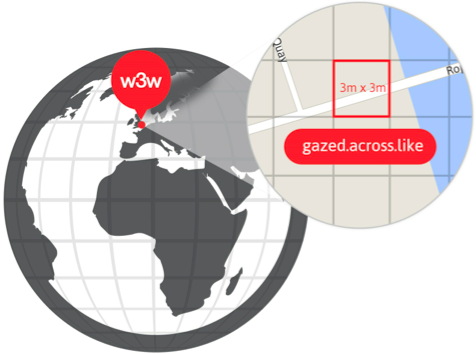 So What3Words may also be useful for certain ICT4D projects in addition to crisis mapping. The real key to this service is simplicity, i.e., communicating three words over the phone, via SMS/Twitter or email is far easier (and less error prone) than dictating a postal address or a complicated set of GPS coordinates. How else do you think this service could be used vis-à-vis disaster response? This entry was posted in Crisis Mapping, Humanitarian Technologies and tagged Disaster, GPS, Response, What3Words. Bookmark the permalink. As if one would remember all the 3 word codes of the 3 by 3 square meter part of the bush where your car just ran out of petrol. The way to look up you local 3 word reference would be … with a GPS (and a telecom connection). This sounds like a non-starter, adding to the long list of other silly unique location coding proposals. It reminds me of the great joke of the “wherethefuckarewe” bird, a native Australian species 🙂 Alas, 5 words. It might be worth me setting out how we see w3w addresses being used. We don’t see people remembering multiple addresses, the 3 words are intended as a better communication method than co-ordinates for communicating a particular 3m x 3m square, not multiple squares. Importantly, the benefit of a 3 word address is to give a communication benefit over co-ordinates when a human being is involved in the communication process and having to spell out a physical location in one form or another. When devices are communicating with devices there is no need for w3w, but when someone is communicating a precise location over the phone, on paper, in an SMS, as well as by email – 3 words is a lot simpler than two 8 digit numbers and w3w is also one consistent syntax across all these forms of communication. It’s also universal across the world, imagine 2 English-speaking people trying to communicate a precise location over the phone in Taiwan when all of the street addresses use symbols that they (nor their smartphones) recognise. For this reason we’re launching in multiple languages so the whole world can be communicated in 3 words in our users’ native languages (or a language of their choice), we’re already in Russian and Spanish with more to follow. When humans communicate co-ordinates there are often errors too, and depending on where the erroneous digits are in the string, it can be difficult to know that the co-ordinates haven’t been understood correctly if they still represent a location in the broad area the recipient is expecting. With w3w addresses, similar sounding strings are purposefully placed long distances away from each other so if the w3w you receive is broadly in the area you are expecting, you have confidence that the string you have received is correct. This is a brilliant idea. It is even easier for demonstrating the photos or tweets that have had hashtag with these three world on the crisis map. But I am wondering if this system works with smart phones to automatically geo-locate them? and also dose navigation system works with it like tomtom to navigate you to the w3w spot? Negar – yes there is an app on iOS and Android which geo-locates the phone and provides the corresponding 3 word address which can be tweeted, emailed, SMS etc. I would also add that the v2 app is being released next week which is a huge leap forward from the one currently in the app store; so if you have frustrations with the current app, whilst it still does the job, the version released next week will be a much slicker experience. Also, for phones without the app, there is a mobile-friendly website which has the full range of services integrated too. Again, these are all being updated in next week’s updates. In response to directions – this functionality is being integrated in all of next week’s updates too.